Basic helix-loop-helix (bHLH) transcription factors have been implicated in cell lineage determination and differentiation. TWIST1 is a bHLH transcription factor and shares similarity with another bHLH transcription factor, Dermo1. 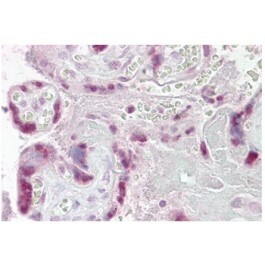 The strongest expression of this mRNA is in placental tissue, in adults, mesodermally derived tissues express this mRNA preferentially. Mutations in this gene have been found in patients with Saethre-Chotzen syndrome. Prior to reconstitution store the antibody at -20°C. 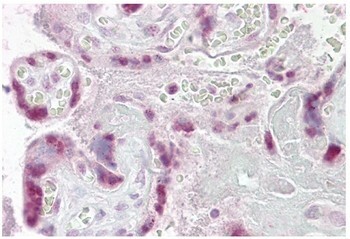 This antibody reacts with Human 21 kDa TWIST1 protein. It Does not cross reacts with Twist-2.